Jesus, the Son of God -- the holiest of all humans -- has gone into what is considered enemy territory and talked to a Samaritan adulteress at Jacob's well at Sychar in Samaria. The Law said that the Jews were not to touch any unclean thing, but Jesus wasn't focused on the Law. He was focused upon love and grace. Jesus will teach her a "new" way of love. "Love your enemies." Matthew 5:44 Jesus will now begin to show this Samaritan woman that, in spite of the fact that He is holy and knows about her sinful life, He will not condemn or reject her. Instead, He will reveal Himself to her as the Messiah and the One who gives the spiritual water of the Holy Spirit and the Word to all who believe in Him. “Give Me a drink,” Jesus asked her. V7 Jesus not only spoke to her, He asked her to serve Him. It would be unheard of for a Jew, especially a Rabbi, to drink from the same cup as a Samaritan whom they claimed “unclean.” It would also be unheard of for a Jewish Rabbi to speak to a woman in public, especially one of ill-repute who would be alone with the Rabbi. Jesus had sent His disciples to get something to eat so Jesus will be alone with this sinful woman. Jesus wants this meeting to be a personal one between Him and this sinner. Jesus knew all about this woman, yet He spoke with her and revealed Himself to her. What the Law excluded, Jesus included. Jesus saw this woman's need of salvation. With one act of goodness, kindness, compassion and acceptance, Jesus will break down the wall of hostility between the Samaritans and the Jews. This woman who saw no hope will meet the One who is her hope. Jesus is the Supreme Evangelist. This sinful woman had come to draw water at a time when no one else would because of the rejection of others for her sinful lifestyle, and perhaps even her own shame. Because of the intensive labor of drawing water and carrying it on their shoulders, women would come to draw water from a well at dusk when the sun wasn't as hot. But this woman came at noontime when the sun is the hottest and brightest. She will meet the Son who is the Light of the world at this well. This unnamed Samaritan woman knew that Jesus was a Jew because of His garments, so she was surprised that Jesus asked her to serve Him. She said to Him, “You are a Jew and I am a Samaritan woman, 'How can you ask me for a drink?' (For the Jews do not associate with Samaritans.”) v9 Jesus humbled Himself, didn't reject her and showed her compassion in order to reach her. He had no prejudice – either race or gender – but instead saw her need and the condition of her heart and life. Notice that He didn't condemn her either. He came to save, not condemn. Jesus will use this “natural” well and water to teach this sinful woman about the “spiritual” water that only He can give that will satisfy her spiritual thirst. This natural water from father Jacob's well will satisfy her physical thirst, but the water that Jesus gives is spiritual and will satisfy her “spiritual” thirst. The water of the Word and the Holy Spirit are Living and eternal and together will provide eternal life. Jacob's well can run dry, but the water that Jesus gives will never run dry because it is eternal. In order to gain this new, spiritual life, we must drink from the well of salvation and the Living Water of the Word and the Holy Spirit. To tie this meeting of Jesus and the Samaritan woman at the well with Older Testament scripture, I want to take you back to Genesis 24 which is about Rebekah, the soon-to-be bride of Isaac, the promised son of father Abraham. Jesus is fulfilling this Older Testament event with the Samaritan Woman at the well. The faithful servant and father Abraham were in covenant with one another – of one purpose. Abraham asked his faithful servant to “put your hand under my thigh” and swear to the Lord that he will gather a bride from Abraham's own people for his only spiritual son, Isaac. Keep in mind that Abraham had the servant go outside of the promised land to gain a bride for Isaac. An oath before God is not to be broken. The thigh is the place of strength and covenant. Abraham must send the faithful servant to Haran because the promised land was full of the Canaanites. Abraham didn't want his spiritual son to be unequally yoked with the Canaanites. This bride of the promised son will inherit a vast fortune of land, flocks and God's covenant promise with Abraham (father) and Isaac (son), just like the Bride of Christ will inherit all that belongs to the Father and His Son Jesus. Abraham was called a Hebrew. The word Hebrew has its roots from the word Eber which means “one from the other side.” Abraham is on the other side of worldly morals and values. He is spiritual. Abraham is a type and shadow of the Heavenly Father. God uses the imperfect to paint a picture of the perfect. Abraham was the father of many nations, just as God is the Father of all humanity because we all descend from Adam. Abram had the son of the flesh -- Ishmael. He had his spiritual son Isaac as Abraham -- his spiritual name given by God. Abraham was the father of both his fleshly descendants through Ishmael and his spiritual descendants through Isaac. Abraham didn't want a bride for his son from the Canaanites. He didn't want Isaac to have a bride from those who were idolaters and cursed by God. Father Abraham wanted a bride for his son from his own family line. 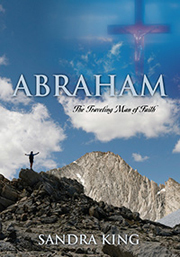 Abraham's spiritual lineage must be set apart for God so they can be His light to the world. Keep in mind that there were no Jews at the time of Abraham, so this would be a gentile bride that was being chosen. The Jews received their name from Judah, just as Christians receive their name from Christ whose earthly descent comes through the tribe of Judah. In the midst of the land of Abram's origin, God has prepared and set aside a bride for Isaac – the promised son. God is also setting aside a bride for His Promised Son -- Jesus -- in the idolatrous world. Isaac is a type and shadow of Jesus, God's only Begotten Son whom the Father loves, just as the Bible says that Isaac is the beloved son whom father Abraham loved. Father Abraham and his spiritual son Isaac were connected Spirit to Spirit. His sons Ishmael and those through Keturah were connected flesh to flesh. As Abraham sent his faithful servant to gather a bride for Isaac, the Holy Spirit who is faithful to the Father is gathering a Bride for His Promised Son Jesus in the idolatrous land of earth. As the Holy Spirit left His place with the Father in the Heavenly realm to come to the land of earth to seek a Bride for Christ, this faithful servant of father Abraham left his place with his master to go to another land to seek a bride for Isaac. This proposed bride for Isaac must be willing to give the faithful servant a drink and willingly go with Him on a long journey to an unknown land to meet her husband. Those with spiritual eyes can readily see that this is a picture of the Father sending the Holy Spirit to gather a Bride for Jesus. Rebekah lived afar off from the Promised Land but would soon become the bride of Isaac in the Promised Land, just as the Bride of Christ will be with Jesus in the Heavenly Promised Land. When we first come to Jesus, we too are afar off, but Jesus receives us, draws us closer and closer to Him and prepares us as His Bride. (see Ephesians 2:13-16) The blood of Jesus broke down the dividing wall between God and man, Jew and Gentile, male and female. Gentiles are referred to as "afar off" because they are not Jewish. In the Older Covenant, God was in covenant with the Jewish people but not the Gentiles except for those who joined Judaism. In the New Testament, Christ opened the "new" way for all to come to the Father. Acts 2:39 shows us that the Gospel of Jesus is for everyone. "The promise is for you and your children and for all who are afar off -- for all whom the Lord our God will call." God will do the calling. What promise? The promise to Abraham that he saw afar off on Mount Moriah as he was willing to sacrifice Isaac, his spiritual son of promise, as an offering for atonement. Abraham saw the sacrifice of Christ afar off in the future as the permanent and full sacrifice for atonement. Jesus even said, "Abraham saw My day and was glad." As the faithful servant was praying, Rebekah came out with her jar on her shoulder. Genesis 24:15 The women would sometimes have to walk miles to get to the spring or well to get water. A well is fed by a deep spring. God supplies natural water to sustain our physical life, so He also supplies spiritual water to sustain our spiritual life. God calls Himself a spring of living water in Jeremiah 2:13 Since Jesus is God, He too provides a spring of living water to sustain our spiritual life -- the water of the Word and the Holy Spirit. Rebekah had gone down to the spring and filled her jar. To go down to the spring that fed the well, women would have as many as 100 stairs to go down with an empty water pot, fill it and then carry this heavy, water-filled pot up the stairs. God wants us to be earthen vessels filled with the water of the Word and Holy Spirit as we labor to quench the spiritual thirst of others. The women in biblical times would carry these heavy jars on their shoulders back to their homes to quench the thirst of their family. The shoulders are the place of Divine Government. The Divine government of God is on Jesus' shoulders (Isaiah 9:6), and Jesus wants His Bride to also carry the Divine government of God on her shoulders. Jesus is the Earthen Vessel of God who is full of the water of the Holy Spirit and Truth. Father Abraham's faithful servant asked Rebekah to give him a drink, just as Jesus did with the Samaritan woman at the well in John 4. Rebekah had labored to get this water and carry it back to her family, but here is a stranger asking her to share her water with him. Rebekah “quickly lowered the jar to her hands and gave him a drink.” v18 Hands represent service. Rebekah didn't give it a second thought! She did it quickly even though it would mean that she would have to go and refill her jar for her family. Rebekah didn't stop there. She said she would draw water for his camels also until they have finished drinking. Keep in mind that one camel drinks 20 or 30 gallons of water and stores it for a journey. There were ten camels, so Rebekah would have to draw a huge amount of water and take many trips back to the spring in order to quench the thirst of the faithful servant's ten camels. Rebekah's willingness and generosity of spirit to draw enough water for the camels was sacrificial and honorable. Camels in scripture symbolize burden-bearers who are full of water -- the Anointed Word. Camels also carried provision and gifts for a journey through the desert. This faithful servant's camels carried gifts for Rebekah and her family as well as provisions for the journey. The camels represent believers who are leaders and have the spiritual gifts of the Holy Spirit and the water of the Word and Spirit to feed others spiritually. The Bride of Christ is to labor unendingly to draw people to Christ and His life-giving water. This servant of Abraham was a foreigner to Rebekah, not even friend or family, and yet she was willing to labor and draw water for the servant and his camels also. The faithful servant had given the Lord a sign that would assure him that he had the right bride for Isaac. “May it be that when I say to a girl, 'Please let down your jar that I may have a drink, and she says 'Drink', and I'll water your camels too – let her be the one you have chosen for your servant Isaac. By this I will know that you have shown kindness to my master.” v14 Rebekah did exactly as the father's faithful servant had asked God. Serving God will require hard work and sacrifice! The faithful servant recognized Rebekah as the chosen bride of father Abraham's spiritual son by her willingness to serve others. Jesus will also recognize His Bride by her willingness to labor for His Kingdom and serve others. Rebekah will receive her reward. The faithful servant gave her a gold ring and two gold bracelets. He adorned her in gold! The faithful servant wanted Rebekah to see her value and worth to the father and the son. She was betrothed to the promised son with the gold ring, and she was bound to the son with the gold bracelets just as the Divine Bride of Christ is betrothed to Jesus, the Promised Son, and bound to Him for all eternity. In the sight of Jesus and the Father, the Bride of Christ is Divine (gold). Rebekah's greatest reward is that she gained a husband who had riches untold that Rebekah knew nothing about. All that belonged to father Abraham belonged to his son and his bride. Had Rebekah not sacrificed her time, her labor and her generosity of heart, she would have missed out on all of this. The New Jerusalem – the spiritual Bride of Christ – is made of pure gold. She too is adorned in gold! Jesus has blessed His Bride with many spiritual gifts and eternal life. He wants His Bride to labor and pour out the water of His Anointed Word to satisfy those who are spiritually hungry and thirsty. Our rewards will be in heaven. Jesus wants us to store up treasures in heaven, not necessarily wealth on earth. He doesn't want us to miss the opportunity of serving in a time of need just as Jesus did and does. Jesus stopped for one woman at a well just as the faithful servant stopped for one woman at a well in Genesis. Both the faithful servant in Genesis and Jesus were looking for a Bride. Jesus wants us to share Jesus and the water of His Anointed Word because He is seeking a Bride that is prepared and ready for her Bridegroom. The earthen water jar symbolizes believers in Jesus, and the water is the Holy Spirit anointed Word. As the faithful servant in Genesis is testing Rebekah to see if she will take the pitcher off of her shoulders and share her water with this thirsty man, Jesus asked this Samaritan woman at Jacob's well to share her water with Him. Jesus is also asking us to share the water of the Word and Holy Spirit with those who are spiritually thirsting and hungry. We need to take the time and the work to gather it and bring it down to our hands and serve others as a sacrifice to God. Rebekah's pitcher was full! God wants us to be full of His Anointed Word, both the Living and the written, and His Holy Spirit, so we can pour it out to others willingly and sacrificially.